Stephanie & Tyler's intimate Fall wedding | Happy 1 year Anniversary! — T.O.A.D. Exactly one year ago we had the honor to photograph Stephanie & Tyler’s wedding day! It was an absolutely perfect fall day. The sun was shining and the leaves had just started to turn. 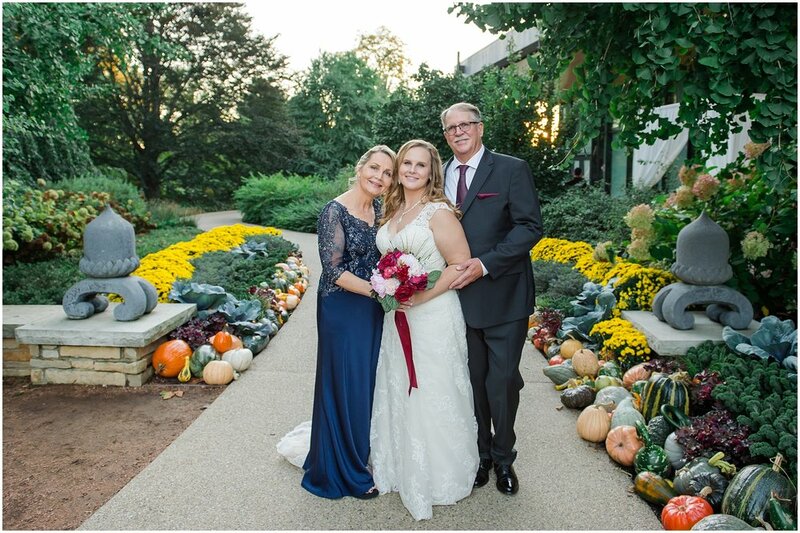 We were excited to shoot at The Morton Arboretum, the site of the ceremony and reception. Stephanie and Tyler decided to do a “first look” which was great because it gave us more time to walk around the beautiful property with them and the bridal party for pictures before the ceremony. It was also one of the sweetest moments of the day. They met each other in a private courtyard and were both so anxious to see each other. Tyler’s reaction to his beautiful bride was priceless and heartwarming. Their chemistry throughout the entire day was undeniable. How Did Their Love Story Begin? We love spending time at home listening to music, creating art and talking about everything and anything. When we are not being home bodies, we love to spend our time in nature. Our favorite Nature Spot is Starved Rock. VENUE: The Morton Arboretum. We were so pleased with our venue. Everything worked out perfect and the guests had a great time! GOWNS: Bella Sposa in Orland Park. I had found that one online and it was my top pick. I loved the shape and the scalloped lace in the back matched my engagement ring. I chose the color for bridesmaids gowns and the girls chose their dress style. FLORALS: I did all of my own flowers and used artificial flowers. MUSIC: I created my own playlists and our friend Jason Ryz helped us hit play. FAVORS: We ordered maple syrup bottles from an online source. BRIDAL PARTY GIFTS: Bridal party gifts were an assortment of moisturizers face masks, and other useful fun girly things. I also bought them knot bracelets off Amazon. HAIR & MAKEUP: Amanda found our hair stylist from a friend at work and we did our own makeup. “I would recommend both of you the most!" Were there any challenges planning your wedding? What piece of advice would you pass on to future brides and grooms? What made you choose Carmen & Jamie as your wedding photographers? We are so happy to report that we recently heard from Stephanie that her Grandfather-In-Law is doing much better now! 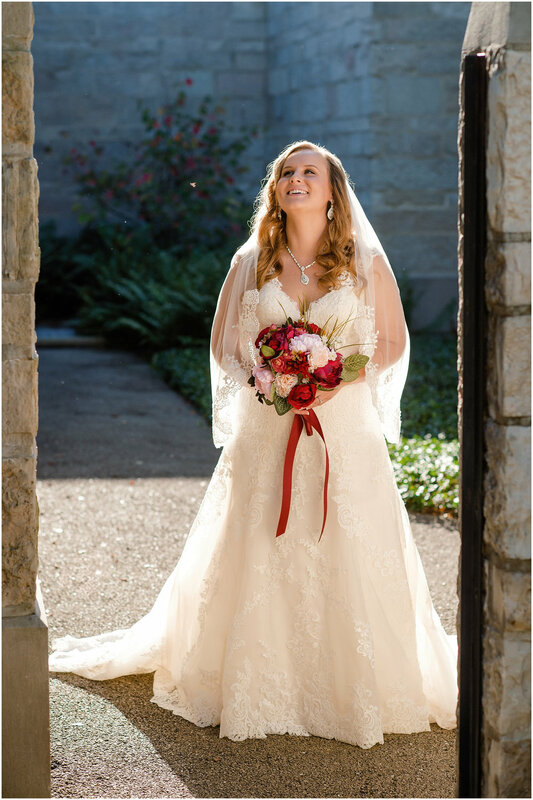 Thank you again to Tyler and Stephanie for trusting us to capture your day and showcase the beautiful relationship you have together and with your friends and families.